A special set of symmetrical solid shapes that were once thought to be the building blocks of the Universe – what are the characteristics of the Platonic Solids? Includes summing of interior angles. A special set of five unique shapes exists, so perfectly symmetrical that it was once thought they must be the building blocks of the Universe. They are called the Platonic solids. The shapes are named after Plato, the philosopher who famously studied them. The platonic solids are a type of polyhedron and are made up of polygons. The key to working out whether a polygon can create a Platonic solid, is in its interior angles. Together, these must total less than 360° at the point where the vertices meet. The interior angles of a pentagon are 108°. When multiplied by three the result is less than 360°. So pentagons can form a Platonic solid, whereas octagons can't. To be a Platonic Solid, a shape must meet three criteria. All its angles, edges and vertices must be the same. This makes all of the Platonic solids symmetrical with identical faces. Only five shapes in the world meet these criteria, so Plato thought they must be the atoms that made up the elements of the Universe. The tetrahedron, Plato associated with Fire. 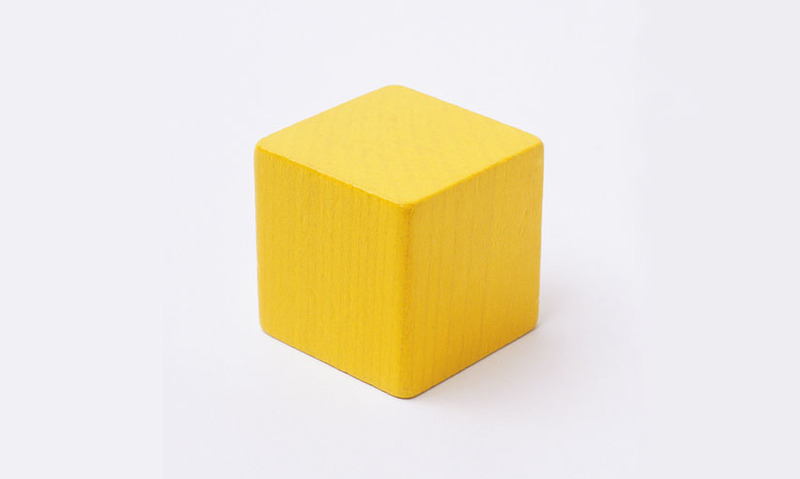 The cube, he associated with Earth. The octahedron, associated with Air. And the icosahedron, associated with Water. 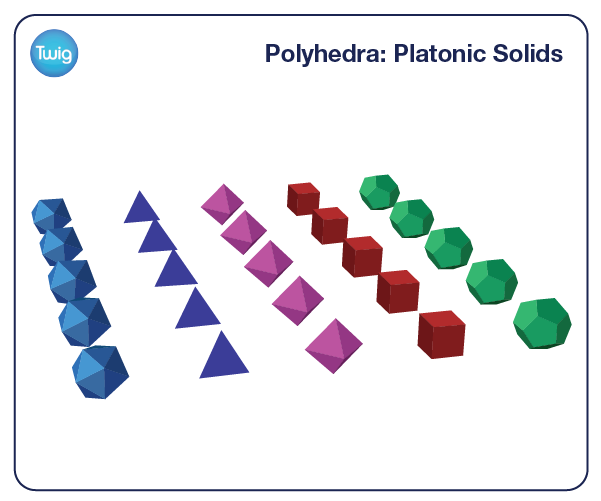 Plato believed that the final platonic solid – the dodecahedron – was the building block of the cosmos. Although we now know differently, the platonic solids remain a unique and mathematically pleasing group of shapes.